I'm just going to pile on 3 different topics into this post. Japan has an opportunity to rebuild smartly and with efficiency as never before seen in the developed world before. Do not let this go to waste Japan. Transportation is perhaps the single most energy guzzler. One thing I imagine are using pods for transport. It's like a covered bobsled with an electric motor that runs on a track. It can fit one or four people or even more. I envision pods made for an individual as being most efficient. Bigger pods can be made for freight. 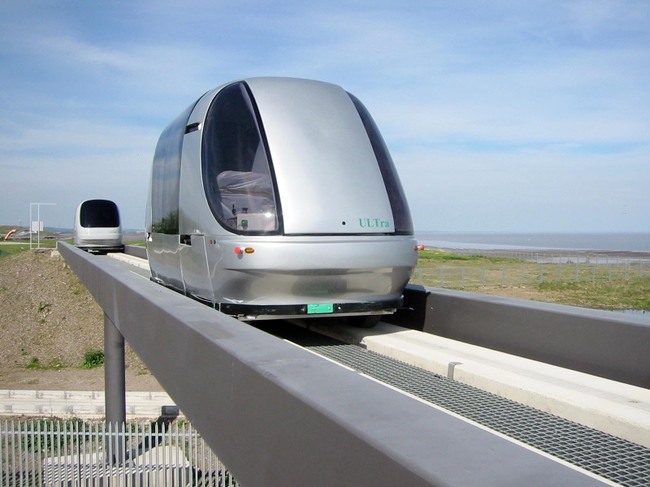 In fact, the whole journey on rail can be computerized. Freight does not need a driver! Just punch in the address and it travels by computer. The individual punches the address or destination in the morning to get to work. Then he/she begins reading their book or attending to other things. Everything is computerized. Also, there's no accidents. And the cost to own one privately? They shouldn't cost more than $4000 each for ones hat fit one individual. And forget about car insurance, you won't need it. These tracks can sit on poles on the side of the road where the sidewalk meets the road for cars. There will still be a need for regular cars and trucks to travel from other areas of Japan. 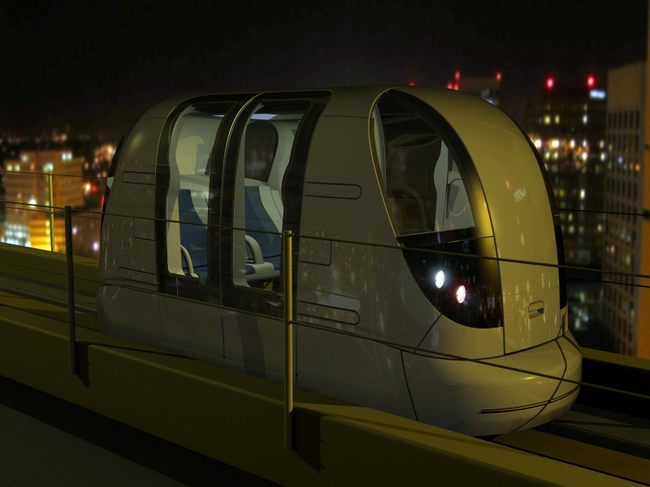 These pods would be ideal for local travel. How much can a pod with an electric motor and an eggshell cover weigh? It would be lighter than even a motorcycle! And since it's got an electric motor that gets its power off the grid it will be super efficient. 200-300 "miles per gallon" would be commonplace. Where do they park? Again. the parking will be computerized. They can stop at a valet area. the passenger can load/unload. Then the pod can self park itself into a stacked garage structure. And in the home garage, the rail goes inside the garage where the pod comes to a rest. Or it may rest in a plastic shelter that is on a pole on the side of the house. Hopefully, somebody is reading this. Toyota, Honda, Mazda, Mitsubishi, Hitachi, Toshiba, this is your future! [Youtube] Real life ULTra PRT/PODs @ London Heathrow Airport! Here are some awesome links to pique your curiosity and your imagination. Utter devastation. It can only be described as such. Whole families washed away. Missing family members. It all has changed in an instant for those victims on the Northern Japanese coast. And after the quake and tsunami comes the cold, dreary, snow weather. The elderly struggle with no electricity, lack of water and lack of food. In light for the Fukashima nuclear disaster, Keith Harmon Snow looks at the dangerous, greedy, corrupt business world of nuclear power. Here is his recent interview on Guns and Butter on 03-23-2011. Topics covered: Mark I Boiling Water Reactors and their safety issues, Nuclear Regulatory Commission (NRC) Public Document Rooms, the do not rock the boat Japanese society, Tokyo Electric Power Company (TEPCO), spent fuel pools, and Price Anderson Act.